Pressure Ulcer Healing and Prevention Tips - McMath Woods P.A. 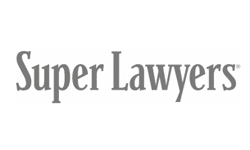 Published on Oct 9, 2018 at 12:47 pm in nursing home negligence. Everyone has heard of the term “bedsore”. Medical care experts refer to bedsores and decubitus ulcers as pressure ulcers. Pressure ulcer prevention and treatment continue to be huge issues in hospitals and nursing homes. Many people are aware of the danger of pressure ulcer development in nursing homes, but are not as aware that this is a major concern for patients in hospitals, particularly if they are immobile. 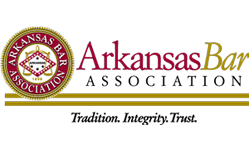 McMath Woods has handled numerous pressure ulcer/bed sore cases, including one against an Arkansas hospital resulting in a jury verdict of 1.5 million dollars. Hospital pressure ulcer cases are unique as staffing and reporting requirements can differ from nursing home cases. As our population is aging and life expectancy is increasing, longer acute care hospital stays seem to be occurring. These longer acute care hospital stays increase the risk for pressure ulcers. Pressure ulcers have been defined by the National Pressure Ulcer Advisory Panel (NPUAP) in conjunction with the European Pressure Ulcer Advisory Panel (EPUAP) as localized injury to the skin and/or underlying tissue usually over a bony prominence, as a result of pressure, or pressure in combination with shear. Immobility is a major risk factor for someone developing a pressure ulcer. Common sense tells us that if you cannot reposition yourself and stay in one position, such as on your back, you are endanger of developing a pressure ulcer. The classic presentation would be the development of the ulcer in the area of the sacrum or coccyx. Patients must be repositioned regularly to avoid the development of these terrible wounds. Repositioning should typically occur every 2 hours and the repositioning and the position in which the patient is in should be charted by the medical care provider. If the patient is in a chair or wheelchair, repositioning of the patient should be even more frequent as pressure to the coccyx/sacrum area is increased in the seated position. A common misunderstanding is that if the patient is up in a chair he or she does not need to be repositioned. This is simply incorrect. One very important fact families of patients should note is that if your loved one develops a pressure ulcer, they should be kept off that area. Stationary weight creates pressure ulcers and sustained compression causes the ulcer to worsen. Incontinent patients pose additional issues for hospitals and nursing homes. Moisture and hygiene must be strictly monitored. A person with a pressure ulcer injury can be at increased risk for infection. A family with a loved one with a pressure ulcer should demand a wound care nurse be involved and helping direct the day to day care of the patient along with the medical doctor responsible. Healthy nutrition is necessary in order for a pressure ulcer to heal. Families should be persistent in making sure their loved one’s nutritional intake is well-rounded and particularly high in protein. The National Pressure Ulcer Advisory Panel has published some helpful information to providers entitled “Pressure Ulcer Prevention Points.” You can take a look at it here. If you have reason to believe that you or your loved one’s pressure ulcers may have been caused by negligence, we encourage you to get in touch with our lawyers today.